Now that the kids are heading back to school, I feel like I can honestly get myself back on track. During the last 2 1/2 months, I have been a bit lax on exercising, eating, and self care. With just my son and I home for the bulk of the day, I can finally have the time to prep nutrtious meals, and plan for healthy snacking. 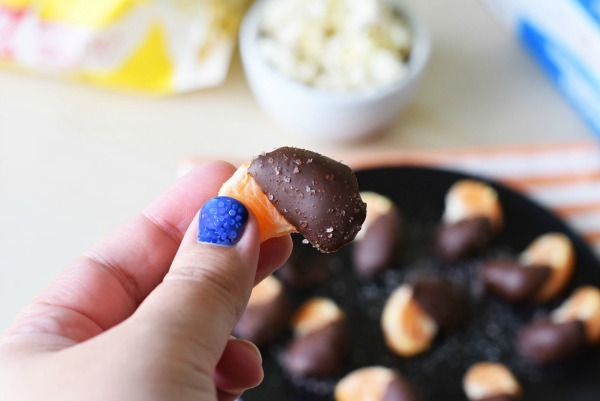 These Chocolate Dipped Tangerines with Sea Salt are a great snack that calms my cravings for something sweet and salty with each bite. 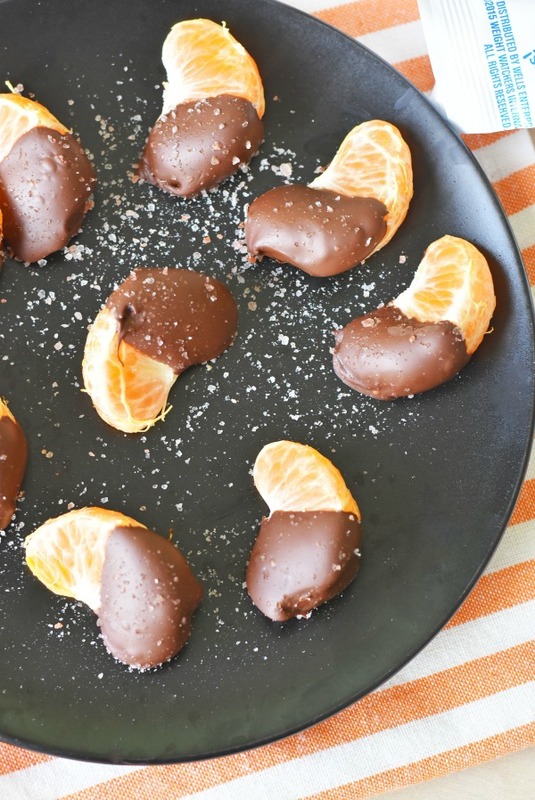 Ok, so I am sure not everyone might have the time to dip some tangerines into semi-sweet chocolate, but it is actually a pretty quick to create treat. I am sure many of you want instant gratification when you need that sweet or savory snack. Trust me, I get in those moods too so I turn to better for me options when I have them in the house. I find the key to healthier snacking is to be prepared. If you do not have fruits on hand, or nutritious snack choices turning to foods like chips or cake becomes easier. 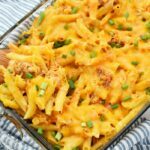 Reasons like these are why I try to keep Weight Watchers snacks on hand. In the past, I have lost 50 lbs on Weight Watchers so I know with renewed commitment it is possible to shed my excess pounds. Right now, I am just focusing on being the best me and achieving overall health. On a recent market trip to Price Rite, I picked up my weekly groceries which included these English Toffee Crunch Ice Cream Bars and some Jolly Time 100 calorie Healthy Pop Kettle Corn Mini Bags. 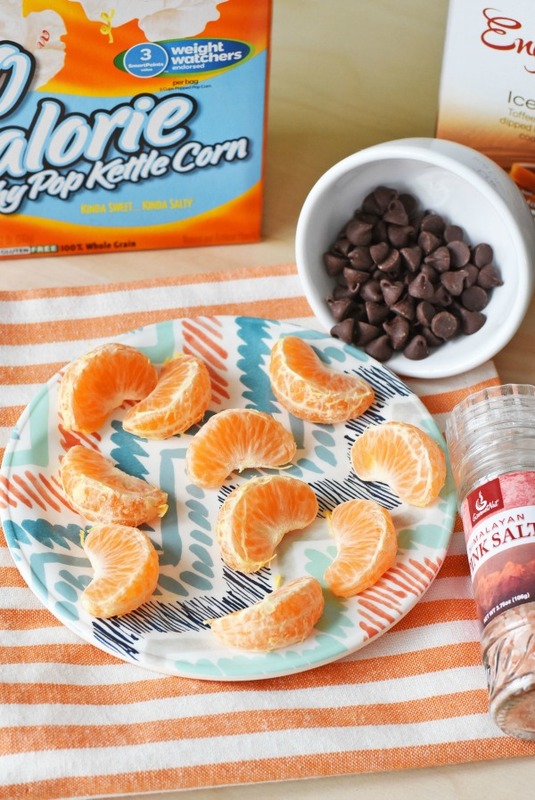 More often than not I crave a salty and sweet snack so these two low-calorie snacks were perfect! 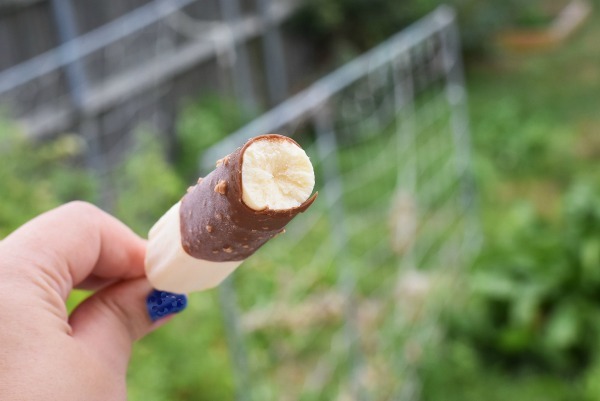 The ice cream bars have just 70 calories each, and the popcorn has just 100 calories! Personally, I love how these two snacking options are helping to keep me in check with eating less calories because I was pretty bad during the summer. I ate probably a little too many chips, and some extra scoops of ice cream. I can certainly feel the difference in my clothes so I really am happy to have my home stocked with the right choices. Did you know that when you shop at your local Price Rite store between 9/11 and 9/24, you’ll receive a coupon for $5 off your next purchase when you buy $15 worth of Weight Watchers snacks *while supplies last. Select stores will even have a sampling event on 9/18 between 10-4, so stop by to try great products and get a coupon! 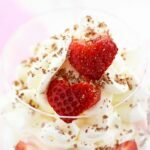 Weight Watchers snack options are a great healthy snack idea! 1 large tangerine peeled, and divided. Once the tangerine is peeled, make sure each wedge is dry before dipping the end into the creamy chocolate. Dip each wedge halfway and place them on a wax paper lined tray to harden in the fridge. Once they are all dipped, sprinkle the sea salt over the wedges, and allow them to harden for 15 mins. Enjoy them once they are done and you will be in for such a sweet and salty treat! What are some healthy snacking options you like to enjoy? Do you have a favorite Weight Watchers product? I love the idea of healthy snacks! I have a bit of a snack and sweet tooth and for me to eat healthy I would have to have that in my diet or I would binge on it if I cut it out. I’ll have to try some of these desserts and snacks. I love the mini bags of popcorn. Just enough to satisfy a craving. Weight Watchers does have some delicious snack options. How have I never thought of dipping my tangerines? Brilliant! 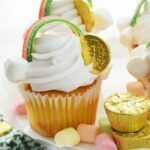 I bet these would make a great party treat. Those tangerines look amazing! I am not usually a fan of them, but with this I think I could be! I’m willing to try these out. They sound so great! Wow!! 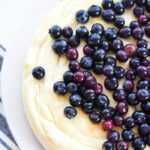 Talk about a delicious blog post!! 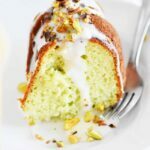 You had me with the sweet and savory tangerine recipe but I have to tell ya… I’m a fan of Weight Watchers treats! 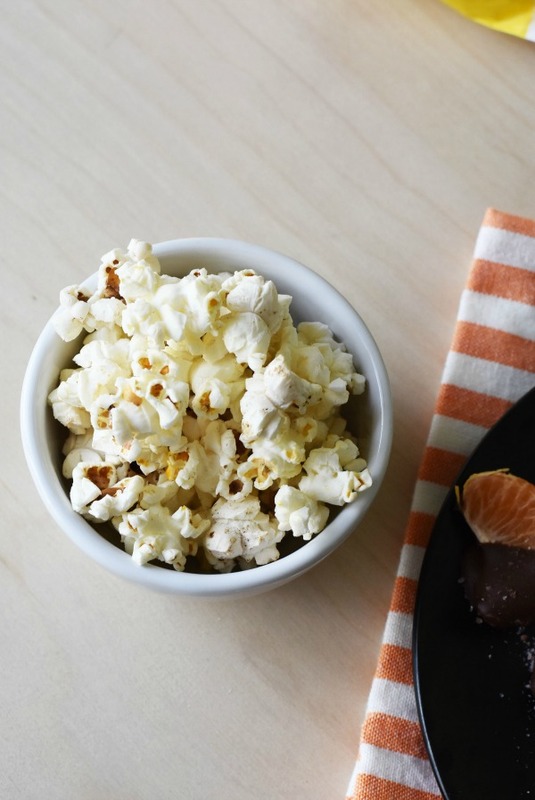 Love the tangerine recipe and all the healthy options! I must say the mini bag of popcorn is my fave! I am always looking for healthy snacks. 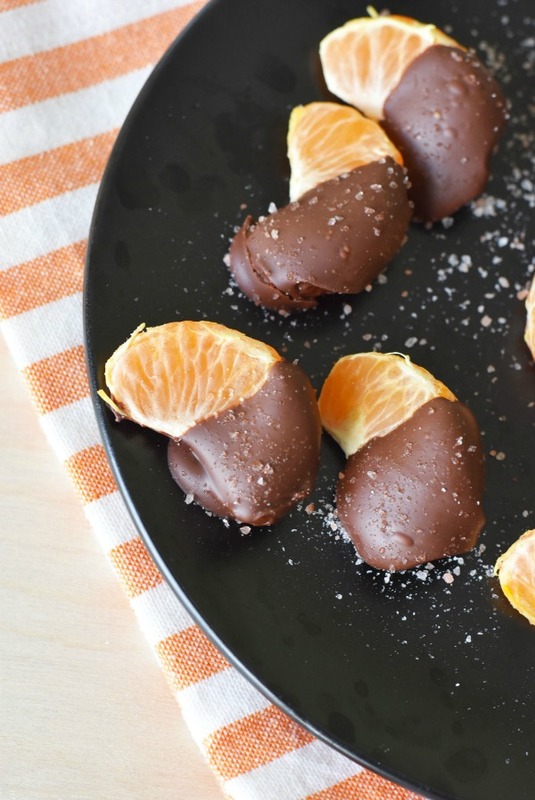 These Chocolate Dipped Tangerines with Sea Salt look amazing. I can not wait to try them. The healthiest snacks we generally have are fruit or cheese. I’ve never had a chocolate dipped tangerine, it sounds intriguing. 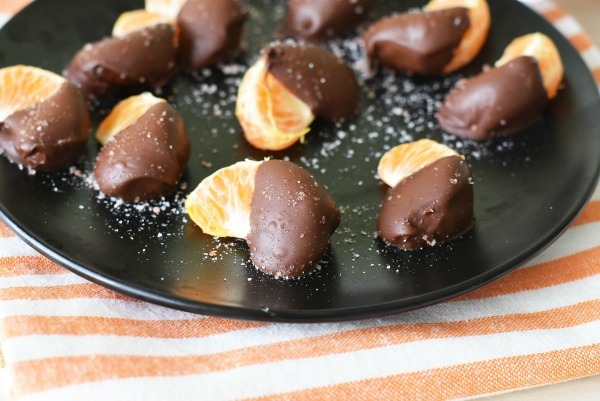 Chocolate Dipped Tangerines with Sea Salt look so delicious and easy to make. I will have to give it a try this weekend. I think they will be a big hit. I have been wanting to try some Weight Watchers treats. 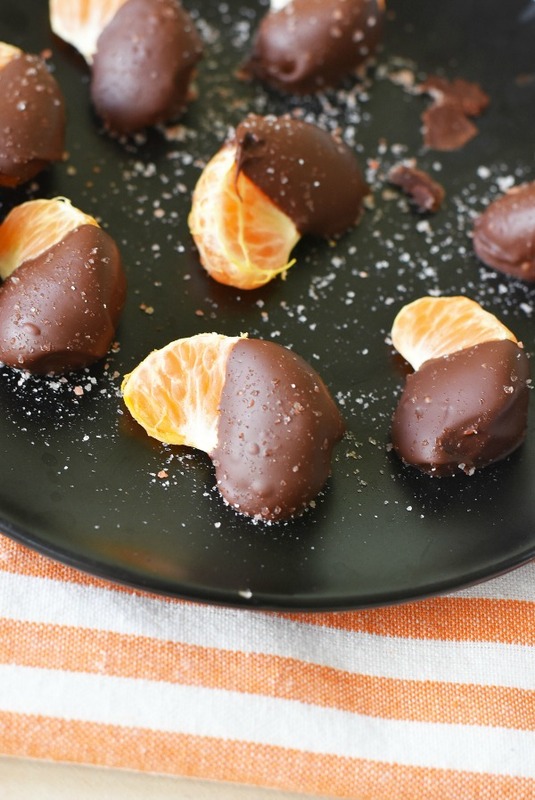 I will have to make some Chocolate Dipped Tangerines with Sea Salt. They look delicious. These look so delicious. It would definitely be a snack that I could get behind for my kids where I wouldn’t feel like it was just junk. This is a great idea! Anything with chocolate makes my son happy! Definitely trying this! YUM! This is such a great idea for a treat. I have to give these a try now, I can’t stop imaging what they taste like! I love Weight Watchers! Love the tangerine snack too! Can’t wait to make it! This all looks yummy. I need to check out Weight Watchers. I’m having the worse time trying to eat healthy on my own and this baby weight isn’t going to drop itself! I’m liking the idea of that chocolate dip on top of a juicy orange. It sounds wonderful! This is a great idea. You know the combination would work because they sell orange flavored chocolate around the holidays. These are all great ideas! Perfect for me because I’m trying to lose weight. I especially love the chocolate dipped tangerines. These look almost too delicious to be healthy! I’m going to have to try making these myself. YUM!